This kind of special treated steel has good anticorrosion and antirust effects, which extends the service life of the greenhouse. Special designed structure and accessories make sure the outstanding performance of the greenhouse. With the more than 80% light transmission and low cost,the PE is one of the best material to be widely used in the greenhouse. We can offer one stop service for the customer from designing, manufacturing, to testing, installation. All the greenhouse can be fabricated customized according to customers’ demand and will be professional advice according to our experience. We have lots of patent rights in greenhouse field and occupy the leading positon of the greenhouse. Professional R&D center guarantee top quality and advanced reliable design for each project. All the greenhouse design is made according to customers' local climate condition and requirements. We could send engineer go abroad for correct installation, horticultural service and other service for you. if any parts or structure has some probelm within warranty period,we will maintain or change free of charge. 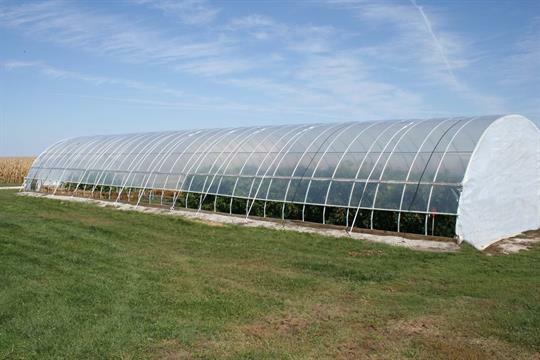 No reviews were found for NTS - Model NTS-1080 - Economic tropic plastic film agricultural greenhouse/invernadero for sale. Be the first to review!